The Backroad Life: School's in Session! Our summer was great and went by fast! Now it is time for school to start again. 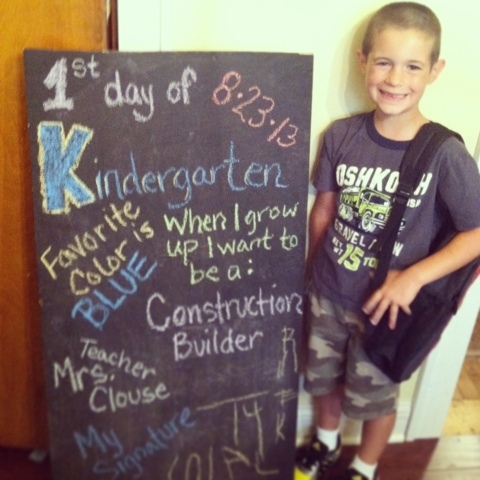 Ty is in kindergarten this year! He is excited, a little nervous, but looking forward to it! 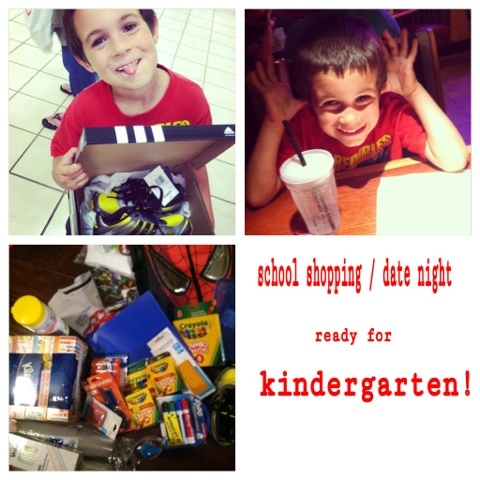 We went school shopping a few weeks ago and he picked out a Spider-Man book bag and yellow/black tennis shoes! We enjoyed dinner at his choice of Red Robin! Earlier this week was Meet the Teacher night! 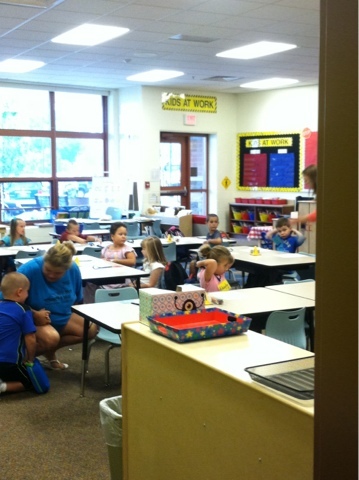 Scott and I took Ty into the school and we found his class. 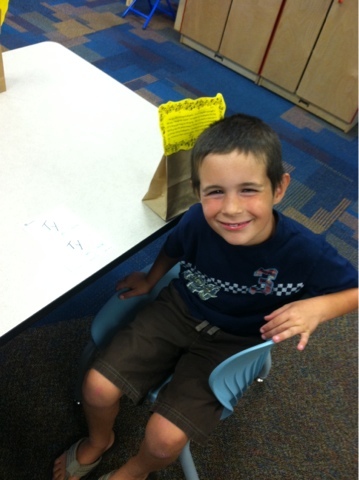 He met Mrs.
Clouse and was excited to see everything in the room. Then he was set and all ready for the big day! August 23, 2013 - first day of kindergarten! I am excited for him and know he will do just fine. 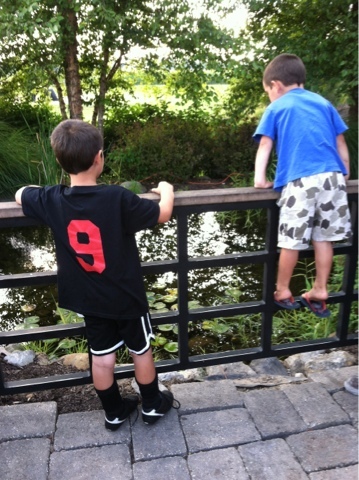 He's outgoing, makes friends easily, and loves to learn. But I had tears... That i didn't let him see...Not because I didn't want him to go but because I can't believe he's going already! Where has time gone! Today kindergarten.. Tomorrow graduating high school ... As fast as time goes! We also packed his lunch! 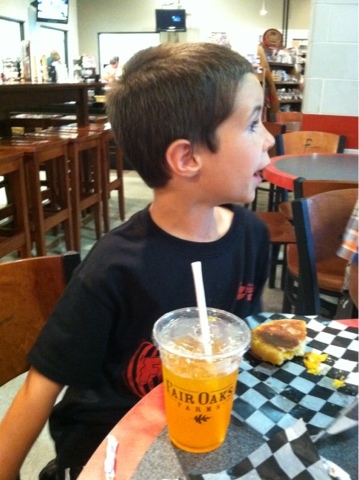 He is a pretty picky eater and I don't think school lunch is going to cut it for him! So! I ordered some bento lunch items... But they haven't came in yet. 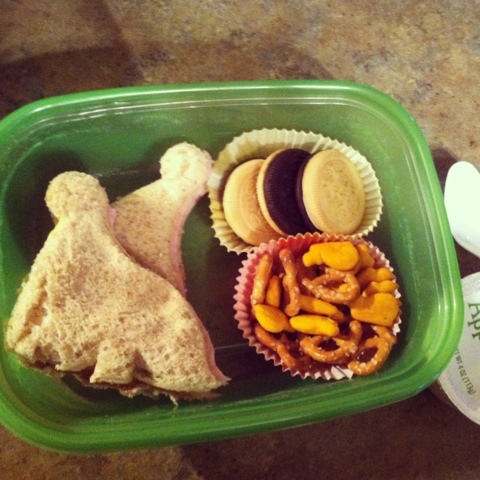 So we used what we had to make lunch fun! Here's my first of many bento lunches! Have a great day Ty! I know you'll love it! !